PAUL KRUGMAN, NEW YORK TIMES: Think about people on the right. They're simultaneously screaming, they're going to send all of the old people to death panels and it’s not going to save any money. That’s a contradictory point of view. TAPPER: Death panels would save money, theoretically. KRUGMAN: The advisory path has the ability to make more or less binding judgments on saying this particular expensive treatment actually doesn’t do any good medically and so we’re not going to pay for it. That is actually going to save quite a lot of money. Let me see I understand this. There are no "death panels" under Obamacare. Under Obamacare, an advisory panel will decide whether or not someone can get an expensive treatment. Some expensive treatments will not be approved by this advisory panel and that will save a lot of money. I assume that by deciding some treatments are not cost effective and treatment should be denied that some people will be permitted to die earlier than they otherwise would. This panel of government bureaucrats will decide who lives and dies. It is impolite and it is inflammatory harsh rhetoric to call this advisory panel a "death panel." Did I get that right? Health Freedom Act passes subcommittee! 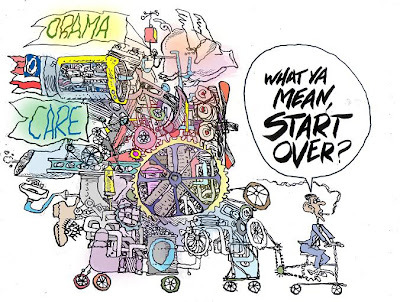 How is Obamacare a takeover of America's Health care? Opps, I almost missed Earth Hour. I just went outside to turn on my porch light to protest silly symbolism. 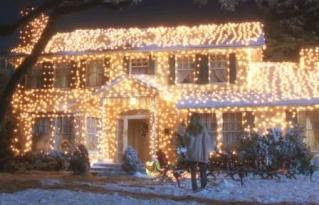 My porch light is one of those weird shaped environmentally friendly lights however, so I am not burning many watts. I live in what must be one of the most liberal communities in Nashville. Our community is so liberal that we don't call our Crime Watch captains, "captains," because that sounds too militaristic. Our neighborhood organization has adopted a statement saying we welcome people of all sexual orientations and gender preferences. We are pretty liberal. I did not see any dark houses on my street. Everyone had their light on. Was Earth Hour really tonight? The Leadership Institute: highly recommended. Today, I attended an all-day campaign school put on by The Leadership Institute. It was great! I highly recommend this program should it come to your home town. The Leadership Institute has been around for over forty years training conservative youth and candidates and other activist. The event was from 8:30 AM until 6PM and was on the campus of Vanderbilt University in a comfortable lecture hall. Parking was free and we had a nice box lunch from Panera Bread. The total cost was only $25. Also, today there was a youth activism school which was a two-day event and also took place at Vandy. I don't know how many people attended the youth activism school, but about 125 people attended the campaign school. To win elections and reverse the disastrous path which our country is on takes more than anger and enthusiasm; it takes skills and leadership. If you are a candidate, want to become a candidate, want to work in someone's campaign, simply want to become a more valuable activist, or want to get plugged in and network with other activist and this campaign school comes to your town, please don't miss it. Are they really evil or simply wrong? 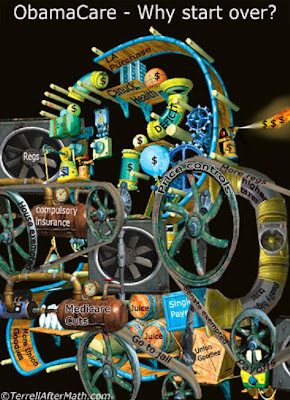 The battles are not over, but the march toward the government obtaining absolute control over every aspect of the American economy continues unabated. Following the government seizing the power to dictate the compensation of employees of banks, gaining a major ownership interest in General Motors, and effectively nationalizing the 1/6th of the economy which is health care, now the government has extended its authority to regulate virtually any company that engages in financial activity. Financial activity is so broadly defined that it includes almost every company in America. 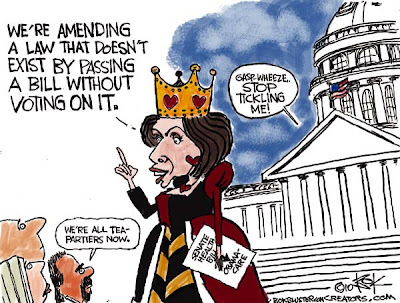 The "Restoring American Financial Stability Act of 2010" is the latest measure the Democrats have passed to seize power. To read more of how this act transfers unprecedented and virtually unlimited power from the private sector to the government read the story. The government does not actually have to own the means of production to exercise control over the means of production. Looking over every producers shoulder and telling him what he may and may not do, will be a bureaucrat. The next major power grab, unless it can be stopped, will be passage of a cap and trade bill which will let the government pick winners and losers in virtually every industry that consumes or produces energy. The portion of the private sector that is really private is shrinking by the day. I am not one to normally use alarmist language but I am alarmed. I do not normally engage in doom and gloom but I am feeling gloomy. I have always thought that there was an ebb and flow to politics. I have always thought that we could correct things come the next election. I have even been known to argue that America was a centrist nation and that despite our periods of partisanship that in reality change was a matter of degree and was seldom radical. I have thought that in reality there was not much difference between Democrats and Republicans and I did not think that that was a bad thing. I thought most elected officials of either party were for the most part pragmatic people seeking to solve problems. To use a football analogy, I have said we are all playing within the 45 yard lines. I have argued that while we may be partisan at times, we are not ideological. I have assumed that despite disagreement over specific issues, that there was general agreement that government should be limited, that a market economy was generally preferable to socialism and that personal responsibility, individual initiative, and an entrepreneurial spirit were virtues and shared values. I am not so sure any more. The only thing that may have kept us from going off the deep end all along was a divided government and balance of power. Those with a different set of values may have been waiting for this opportunity to remake America all of their lives. I may have only thought there was a set of shared values in this land. For the first time in my lifetime, I fear for our country. I am afraid that with the government exercise of such enormous control over the economy, combined with our enormous national debt which is unsustainable, that our days as a free and prosperous and great nation may very well be numbered. I am afraid that the days of American exceptionalism are over. I fear we will become a nation so burdened by debt and bureaucracy that wealth creation will be virtually impossible and that the American people will become a people that continually look to government to redivide a constantly shrinking pie. We have let the government gain such control that we will gradually surrender the last vestiges of our freedom without a whimper. We have traded our freedom for a bowl of porridge and a feel-good dose of hope. Not only do I feel gloomy because I see our nation slipping away, but I feel the partisan divide is slipping into downright hostility and a deep division that may not heal. I have had occasion to feel the sting of anger and bitter righteous indignation from those who thinks that because I oppose the recently passed health care reform that I am selfish and hard-hearted and they wonder how I can be on the side that wants to deny health insurance to those without it. Those who passionately fought for and hoped for Obamacare, do not see those of us on this side as also wanting what is best for the individual and for our nation. They do not recognize that we think we have superior ideas for reforming health care; they simply see us as evil. I feel saddened by this. Yet, the truth is that I feel much the same way toward them and I don't like it. I feel anger toward those who are supporting the destruction of our freedom and the qualities that have made America unique. I am angry that they are destroying our system of free enterprise and taking our liberties. I tell myself that they are not really evil but simply wrong. I have to keep telling myself that because sometimes I feel that what they are doing to this country that I love is pure evil. Below is the analysis and summary of the Tennessee Health Freedom Act copied from web site of the Tennessee General Assembly. Democrats are trying to block passage of this bill. Conservative activist are lobbying hard for passage. A battle rages in Tennessee. What makes this bill more than a symbolic gesture is that under this act, the Attorney General is required to defend anyone who is prosecuted for exercising his or rights under this bill. Health Care - As introduced, enacts "Tennessee Health Freedom Act." - Amends TCA Title 8; Title 56; Title 63; Title 68 and Title 71. This bill provides that it is the public policy of this state that every person within this state is and will be free to choose or decline to choose any mode of securing health care services without penalty or threat of penalty, and this bill provides that with this bill the state is exercising its sovereign power to declare this public policy. (3) It is the duty of the attorney general and reporter to seek injunctive and any other appropriate relief as expeditiously as possible to preserve the rights and property of the residents of this state, and to defend as necessary this state, its officials, employees and agents in the event that any law or regulation violating the public policy set forth in this bill is enacted by any government, subdivision or agency thereof. ON FEBRUARY 17, 2010, THE SENATE ADOPTED AMENDMENT #1 AND PASSED SENATE BILL 3498, AS AMENDED. AMENDMENT #1 specifies that it will be the public policy of this state for Tennesseans to be able to choose their mode of securing health care services without penalty or threat of penalty by the federal government. Tonight the Davidson County Republican Party passed a resolution urging the State House to pass the Tennessee Health Freedom Act and urging the State Attorney General to file suit to challenge the constitutionality of the Health Care Reform Act. I drafted the resolution for the DCRP. House committee Democrats have The Tennessee Health Freedom Act bottled up in committee. Below is the text of the letter to the committee and the accompanying resolution. At its regular monthly meeting on Tuesday, March 23, the Davidson County Republican Party unanimously passed a resolution urging the State House to pass the Tennessee Health Freedom Act and requesting the State Attorney General to file suit to challenge the constitutionality of the recently passed Health Care Reform Act (HR 3590 passed 3/21/10). provided to every committee member. We believe the ideas and concerns expressed in this resolution speak for a great majority of citizens and GOP leaders in Tennessee whose voices and opinions were ignored or rebuffed by members of our United States Congress. We ask you, as the governing leaders of our State, to hear the voice of the people for rational health care reform that relies on market forces and empowers the individual. The Davidson County Republican Party urges the State House to pass the Tennessee Health Freedom Act without delay. The Davidson County Republican Party calls for the State Attorney General to file suit to challenge the constitutionality of the Health Care Reform Act (HR 3590). Vote in the Nashville City Paper poll! Please vote in the Nashville City Paper poll. Click on the link above and it will take you to the City Paper homepage. The poll is in the right hand column at the top. Do you support legislation to have Tennessee exempted from the new federal health care mandate? Vote in the CNN poll: What is your reaction to the newly passed health care reform bill? What is your reaction to the newly passed health care reform bill? Vote in the CNN poll. The poll is on the CNN home page, on the right side, just a bit down from the top. If you're against the Obama Health care plan, please vote in this poll and spread this around because those who are for it are winning. Pass this on. Repeal the Health Care Bill !!! Congress is now pushing through an awful government-run healthcare plan that "We The People" oppose, pushes this nation further in its slide towards socialism, and that runs against the Constitutional limitations placed on the role of the federal government. We are calling for a repeal of this legislation. 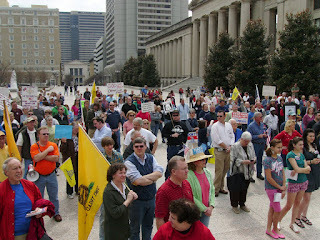 Those who work to repeal it will enjoy our support in the tea party movement. Those who have either supported this legislation, or who do not work to repeal it, will hear from "We The People" in the upcoming November 2010 congressional elections. You've been put on notice, and you should not underestimate our power at the polls. This morning I attend the Priest Lake Bacon and Eggs Summit at Raz’z Restaurant on Murfresseboro Rd. This was one of two Republican breakfast groups meeting in the city today. At the Priest Lake event we heard from Duane Dominy who is running for the 59th State House District. Duane is a currently a Metro Councilman representing District 28 in the Metro Council. Daune spoke about his commitment to responsible spending, balanced budgets and holding the line on taxes. We also heard from two candidates who are running in the Republican primary for the Republican nomination to run against Jim Cooper in the 5th Congressional District. Lonnie Spivak and Jeff Hartline each spoke about their commitment to Republican values and took turns denouncing Cooper. There were lots good questions from the audience. Wrapping up the meeting I talked about the nuts and bolts of party organizing including a review of the election calendar and an appeal for volunteers who would man phone banks, work the polls, host “meet and greet” events for candidates and other task. Several people signed up for volunteer jobs. As I explained to the meeting this morning, this is an extremely important election. Not only is it important because we have a good chance of beating Jim Cooper and winning some other elections, but strategically it is very important. Following the completion of the census, the Party that controls the State House will get to draw the distinct lines for the US Congress, State Senate and State House districts. Democrats have drawn these lines with total disregard to logic. They have created districts that snake from state line to state line in order to create districts safe for Democrats. The Party that gets to draw the political map shapes the political landscape for years to come. To draw the political map, we must win elections this year. I think we can do it. We had about 35 to 40 people at our breakfast this morning. Meanwhile in Donelson, the Donelson Eggs and Bacon Summit heard from two other candidates running for the 5th Congressional Republican primary: Patrick Maranda and Brenden Fenucain. I understand that about twenty-five people attended the Donelson event. With about fifteen candidate running, it is a crowded field in the Republican primary for the 5th Congressional district. We have so many good candidates running, I don’t yet know who I will support. The qualifying deadline is April 1 and then candidates have until April 9th to withdraw. I expect the field to narrow. We must nominate someone with the right values and someone with good campaign skills and the ability to raise the money necessary to run a winning campaign. Following the breakfast event this morning, I went to Legislative Plaza for a anti-Obamacare “tea party.” It is hard to estimate the size of the crowd but there were maybe three hundred to five hundred people in attendance at this hastily thrown together event. We heard several rousing speeches. 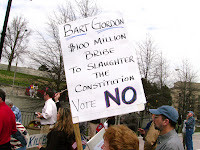 Jim Cooper was roundly denounced for being a “lap dog” instead of a “blue dog.” Retiring sixth Congressional District Congressman Bart Gordon, who has allegedly swamped his "no" vote for a "yes" vote in exchange for an important administrative job at NASA, also came in for spirited denunciation. Senator Mae Beavers called on the crowd to lobby their state representatives to get The Tennessee Health Freedom Act, which has passed the State Senate, out of committee where Democrats have it bottled up. This act says that should the Federal Government pass the Health Care bill that they could not fine anybody in the state of Tennessee for failing to purchase insurance and if they tried to do so our attorney general would defend them. Many constitutionalists assert that the federal government has no authority to force people to purchase insurance or purchase any other product. Radio talk show host Steve Gill gave a fiery speech denouncing the process of “deeming” a bill to be passed. He explained why as a tactic this is so despicable. He explained that if Congressman had to go on record one-by-one voting in favor of the bill many of them would not vote for it, but by “deeming” the bill passed than can avoid taking a stand. He contrasted this cowardly process with that of the founding fathers who boldly attached their signature to the Declaration of Independence. Nashvillians are mad and motivated and are getting organized. I don’t know if health care will pass or not, but even if it does, the battle is not over. 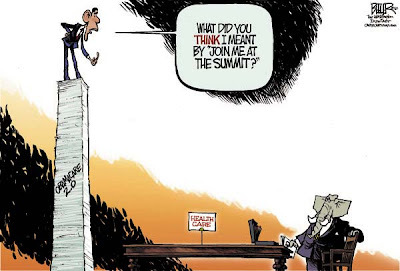 Let me get this straight......we're trying to pass a health care plan written by a committee whose chairman says he doesn't understand it, passed by a Congress that hasn't read it but exempts themselves from it, to be signed by a president that also hasn't read it and who smokes, with funding administered by a treasury chief who didn't pay his taxes, all to be overseen by a surgeon general who is obese, and financed by a country that's broke. What the hell could possibly go wrong???? Send a virtual post card to wavering Democrats and urge them to vote against Obamacare! Click here. Please join me in the protest to "Kill the Bill." I have replaced my Facebook profile picture with this "Kill the Bill" logo. I don't who started this but it sounds like a good way to express yourself on this issue. Please change your Facebook profile pic with this message. If you are a blogger, please post the logo prominently on your blog. Ron Paul to win Southern Republican Leadership Conference poll. I was shocked when Congressman Ron Paul won the CPAC straw poll last month. I will not be shocked if Ron Paul wins the Southern Republican Leadership Conference poll next month in New Orleans. Campaign for Liberty, which was founded by Paul, has reportedly purchased 800 tickets to SRLC at a cost of $92,000. With a block of 800 votes, Dr. Paul does not have to pick up many of the other votes at SRLC to win the straw poll. Winning these straw polls could push Paul to the forefront as the candidate with an advantage in the 2012 campaign for the Republican presidential nomination. Being able to pick off the top two beauty contest certainly raises his profile. It demonstrates he has the organization and the funding to beat other candidates and he very well may enter the primary season as the front runner. I do not know how Ron Paul will play in Iowa but with the caucus system of Iowa, a few dedicated supporters could propel him to a victory in that contest. Much like a straw poll, the caucus system is as much about the intensity of support as it is the degree of support. Ron Paul’s supporters may be more likely to get to the caucuses than are the supporters of other candidates. One thing you must say about Ron Paul supporters is that they are intense. They care deeply. They are motivated and dedicated. One could almost say they are fanatical. While I am excited by the growth of the conservative movement, the revitalized Republican Party, and the public’s rejection of the directions Obama wants to take this country, I am not excited by the Ron Paul movement. Ron Paul is simply outside of the mainstream. I think that should Paul win the Republican nomination in 2012 it will be a disaster. 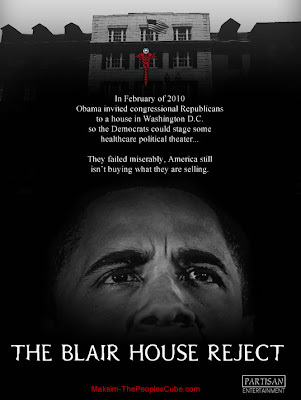 I predict that if Ron Paul is the 2012 Republican candidate, President Obama will be reelected in a land slide. I don’t want to see that happen. Unfortunately, at this time, I see no other candidate that excites the base of the party the way Ron Paul excites his supporters. I hope that candidate emerges. I want someone to emerge that I can get excited about. I want someone I can be for rather just settle for. I am hoping a dark horse emerges who can excite the base and yet not frighten the electorate. Lieutenant Governor Ron Ramsey supports a "FOREVER GREEN TENNESSEE" and is AGAINST mountaintop removal. I am glad to see Lt. Governor Ron Ramsey emphatically state that he is against mountain top removal. Previously it had been reported that he was in favor of this method of coal mining in which the top of mountains are blown off and pushed into the valleys to get the the coal beneath. I am glad to see him set the record straight. I am also pleased to see that he supports the Forever Green campaign. 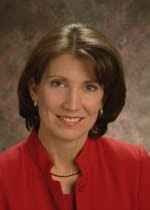 This clip shows Kathleen Williams, Director of the Tennessee Parks and Greenways Foundation, leading a delegation of conservationist, including former Governor Winfield Dunn, meeting with Governor Ramsey to secure his support of the Forever Green Campaign. Forever Green Tennessee is a campaign to restore the Tennessee Real Estate Transfer Funds. These funds dedicate approximately $20 Million per year for Tennessee land acquisition and conservation. In previous years these funds where diverted to the general fund, despite spicifically beind dedicated to land acquisition and conservation when the tax was originally passed. This is great! This is George Will at his best. “Liberty and Libations Wine Tasting” fundraiser. Wednesday, March 10th, 6:00 p.m.—8:00 p.m.
Come uncork freedom with us! All proceeds will benefit TCPR’s efforts to encourage legislation that would allow grocery stores to sell wine. I'm always willing to drink for liberty. I will be attending this event. In Tennessee we have Trades Joe's but no "two-buck chuck." There is no going to Krogers and picking out a nice steak and a bottle of Cabernet Sauvignon to go with it. Unfortunately the liquor industry and the good Christians of this state don't want us to have that option. It is time to change the law. Energized GOPers turned out March 6 at the Green Hills Library for a Grassroots breakfast gathering. State GOP Committeewoman Beth Campbell rallied the Republicans, several of whom busily campaigned for various offices during the meeting. The hottest GOP primary contest may be for a nominee to run for the 5th District Congressional seat. Beth Campbell, Bob Schwartz and Rep. Beth Harwell at the Grassroots Breakfast gathering. Is Obama a Harvard educated financial illiterate? The following is from the Blair House Health Care summit. I am flabbergasted. Is our Harvard educated President a dumbass idiot? Does he really not know the difference between liability insurance and collision insurance? When I was young, just got out of college, I had to buy auto insurance. I had a beat-up old car. And I won't name the name of the insurance company, but there was a company -- let's call it Acme Insurance in Illinois. And I was paying my premiums every month. After about six months I got rear-ended and I called up Acme and said, I'd like to see if I can get my car repaired, and they laughed at me over the phone because really this was set up not to actually provide insurance; what it was set up was to meet the legal requirements. But it really wasn't serious insurance. Now, it's one thing if you've got an old beat-up car that you can't get fixed. It's another thing if your kid is sick, or you've got breast cancer. What?? This is unreal. This is unbelievable! I did not know "Barack" was this stupid. Is he an idiot? I have high school drop-out clients on welfare who know the difference between liability insurance and collision insurance. Barack needs to take a high school class in financial literacy. Would you take health care insurance advice from this guy? Does this inspire confidence? This week the President announced that the “healthcare debate was over”, and that “all that needed to be said about healthcare had already been said.” With that statement, the Democrats have been put on the spot because there is still no Republican support for either bill. Traditionally, the Senate will pass one bill, and the House will pass a separate bill. Then, members from the House and Senate will go to Conference Committee to combine the two bills in order to prepare it for both chambers of Congress to vote on it again. Once the same bill is passed in both chambers, it then goes to the President to be signed into law. However, Obama and the democratic Senators plan to utilize a seldom-used procedure known as “reconciliation”. This procedure is generally used only for budgetary items, and, by itself, cannot be used to pass the entire healthcare bill. In order for the Senate to use reconciliation, the House will have to pass the exact same bill as the Senate. This is because the House does not have either the votes, or the willpower to start debate on a new bill. Obama is trying to convince the House members to pass the Senate bill, then reconcile the differences, in the Senate, and he would sign the bill after reconciliation. 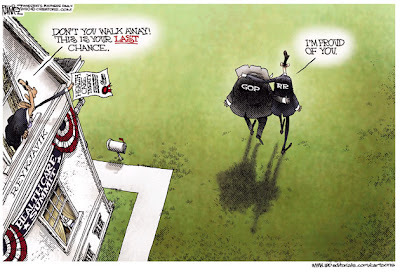 Now here’s how Obama is trying to pull a “Rope-a-Dope” on the American People. If the House passes the same bill that the Senate passed, in December, there is no need for reconciliation because both chambers of Congress would have passed the same bill. This means that it can then go to the President to be signed into law. Obama wants us to look at his right hand with reconciliation when the knock-out punch will come from the left when he skips reconciliation all together and signs the bill without discussion!!! We can not stand by while Obama knocks America out with lawyer tricks and deceit. Last night, I participated in a conference call with a variety of folks involved who oppose the government takeover of healthcare. Together, we laid out a plan to target “Blue-Dog Democrats” in the House. The plan calls for 500 volunteers (per day) from across the country to follow 66 different Blue Dogs, including Jim Cooper, Tennessee’s fifth district representative. We will have a war room setup at TV Worldwide Studios in Chantilly, VA to broadcast these “traveling protests,” live and unfiltered. Volunteers will follow the targets with video cameras, ask them pointed questions regarding the healthcare bill, then broadcast their answers on the internet and throughout the mainstream media. The operation is set to start with a webcast March 9, and will last for 2 1/2 weeks (M-F). If you are interested in traveling to Washington and helping me stop the government takeover of healthcare, please e-mail me at lonnie@lonniespivak.com. Together, we can stop Obamacare and win this battle of the revolution. Lonnie Spivak is a candidate in the Republican primary seeking to win the nomination to challenge Tennessee's 5th District Democratic Representative Jim Cooper. Victoria Jackson: "There's a Communist living in the White House"
You have got to watch this! This is so very cleaver and laugh-out-loud funny. Saturday Night Live star Victoria Jackson list the radical connections of President Obama and all the while is cute and funny while doing it. Build a Better Community and Nation! Please join us! Help us make a difference. Please join us! Help us make a difference in 2010. Friend --Last Thursday's first-of-its-kind summit capped off a debate that has lasted nearly a year. Every idea has now been put on the table. Every argument has been made. Both parties agree that the status quo is unacceptable and gets more dire each day. Today, I want to state as clearly and forcefully as I know how: Now is the time to make a decision about the future of health care in America. Earlier today, I asked leaders in both houses of Congress to finish their work and schedule a vote in the next few weeks. From now until then, I will do everything in my power to make the case for reform. And now, I'm asking you, the members of the Organizing for America community, to raise your voice and do the same.The final march for reform has begun, and your participation is crucial. Please commit to join with me to take reform across the finish line. A reinvigorated Davidson County Republican Party has lined up candidates to run for the state House of Representatives this fall, presenting a potential challenge to Democratic incumbents unaccustomed to defending their seats against strong candidates. Comment: The Party is invigorated. A lot of people are working hard to build the Party. There is an excitement in the air and we are having a lot of fun. We have some really great candidates. I really believe the Party can become competitive in Davidson County. I think we can win some elections! Democrats can no longer take Davidson County for granted. I urge you to get active and help make Nashville a two-Party town. Start attending the "Egg and Bacon summits" and meet our candidates and learn what you can do to help build the Party. Join a Republican or conservative independent group and network with like-minded people and stay motivated and stay informed. These Republicans running for office are going to need a lot of help. Volunteers are needed to work the phone banks and man the polls and campaign for candidates. There is plenty to do. Would you like to start a Republican group in your community? We will show you how. Have you ever thought about running for office? Don't keep it a secret. You can make a difference. Get involved! 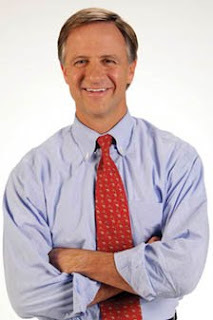 For our next meeting - on Tuesday, MARCH 2nd we welcome the return of Knoxville Mayor BILL HASLAM. Unfortunately this event is at capacity. You may be able to get on a waiting list. First Tuesday is a great event and occurs the first Tuesday of every month. The meal is only $15 and annual membership fee is $20. The food is good, the location is the Law Offices of Waller/Lansden on the 27th floor of 511 Union Street with a panoramic view of the city. The official program is exactly one hour long, starting promptly at noon and ending at 1PM, so one can go to this event and not miss much time from work. Parking is convenient and cheap. This is a great opportunity to network and hear important speakers. I highly recommend joining First Tuesday.